Analysis and calculation of financial and non-financial impacts of planned changes. Analysis of benefits and risks of changes in the logistics model is part of logistics optimization projects. The output for the client is an overview of all key areas of change, evaluation and calculation of benefits and risks in the short, medium and long term. 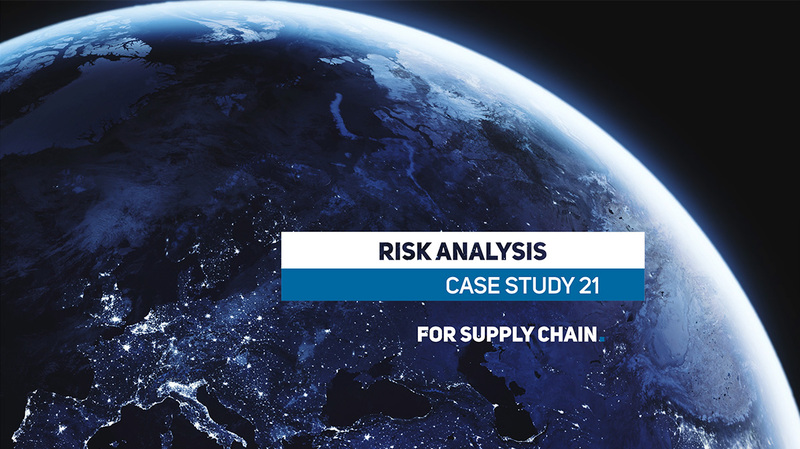 The risk analysis is particularly relevant when there are major structural changes in logistics, such as changes in the structure of secondary distribution. Structural changes often come at the request of top management who needs analysis and calculations to back up its vision. There are usually several possible future scenarios that need to be analyzed and compared with each other. Each scenario consists of a number of steps. Some of them have a positive and others have a negative impact on logistics processes and costs of distribution. First of all, quality analysis requires gathering data on both the client´s logistics and the market situation. Usually, we have a good overview of client´s supply chain thanks to a previous network modeling project. Nevertheless communication with the client is crucial at this point so that maximum practical knowledge is being shared. The client can for example identify regions where it is difficult to negotiate with logistics partners. We evaluate the data collected and calculate the impact of each step. 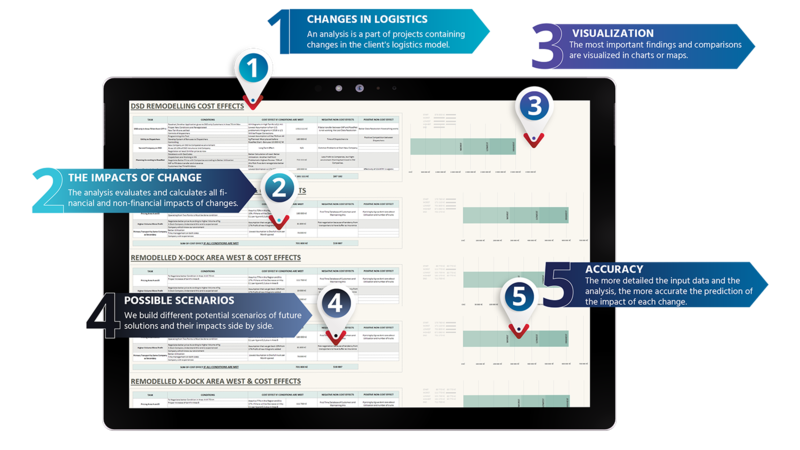 The purpose of the analysis of benefits and risks of changes in the logistics model is not only to describe but also to visualise the anticipated impacts of each scenario. Therefore, we keep a uniform and proven structure of sorting information and we also pay very close attention to displaying an easy-to-read overview of the financial and non-financial impacts of each sub-step of each scenario. We summarize the results in simple tables and graphs. These can be easily transferred to a presentation for further consultations with top management, investors and other stakeholders. In the case of a change of logistics model according to one of the proposed scenarios or a combination of several scenarios, the benefit/risk analysis can serve as a basis for financial planning. For that, we have also developed a model, which we customise to the needs of particular client.